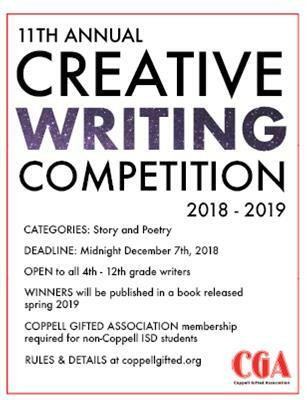 Our 10th annual Creative Writing Competition is open to all writers in 4-12th grade in the categories of STORY and POETRY. Deadline for entry is December 7, 2018 at midnight. Please see our “Competitions tab” for more information. ← Interested in Volunteering with CGA? We Need YOU!